Using examples from a broad base of computational tasks, including data processing and computational photography, the book introduces numerical modeling and algorithmic design from a practical standpoint and provides insight into theoretical tools. The goals of these notes are to introduce concepts of numerical methods and introduce Matlab in an Engineering framework. The notes were developed by the author in the process of teaching a course on applied numerical methods for Civil Engineering. This is primarily for non-mathematics majors and is required by several engineering departments. Contents: IEEE Arithmetic; Root Finding; Systems of equations; Least-squares approximation; Interpolation; Integration; Ordinary differential equations. This course consists of both numerical methods and computational physics. MATLAB is used to solve various computational math problems. The course is primarily for Math majors and supposes no previous knowledge of numerical analysis or methods. 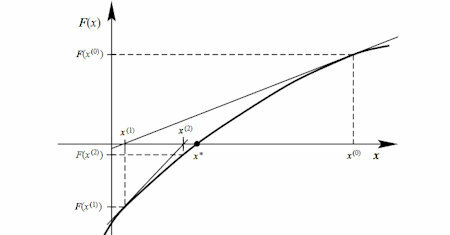 The purpose of this manuscript is to provide a new perspective on the problem of numerical approximation of nonlinear functionals and functional differential equations. The proposed methods will be described and demonstrated in various examples. This book focuses on a small number of methods and treats them in depth. The author provides a complete analysis of the conjugate gradient and generalized minimum residual iterations as well as recent advances including Newton-Krylov methods. In these notes, we describe the design of a small C++ program which solves numerically the sine-Gordon equation. The program is build progressively to make it multipurpose and easy to modify to solve any system of partial differential equations. The object of this book is to provide a simple account of the subject of Finite Differences and to present the theory in a form which can be readily applied -- not only the useful material of Boole, but also the more modern developments. Contents: a quick tour of fortran 95; the building blocks of a fortran application; flow control; computer arithmetic; applications; intrinsic functions; input and output; arrays; more on procedures; parametrized intrinsic types; derived types; etc. The overall aim of the course is to present modern computer programming techniques in the context of mathematical computation and numerical analysis and to foster the independence needed to use these techniques as appropriate in subsequent work.